The first major round of STAAR has come to an end. With the teachers we have, I have no doubt our students performed well. Even though we had a busy testing week, we still had teachers doing great things in their classrooms. There were many iPad projects happening, students were creating memes to promote their class, and others creating presentations. It’s great to see the students being able to stretch their individuality and creativity in class. When students get to create as a means to demonstrate their knowledge, the best of these students comes out. Spring is upon us. 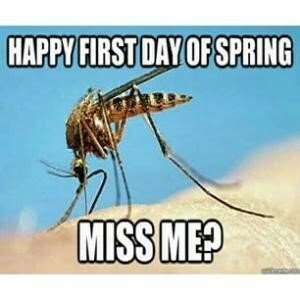 As a direct result “spring fever” is upon our students. They are beginning to see the end of the year creeping up. Even though this is premature, their level of anxiousness is clear. They are becoming a little rowdier and, inherently, noisier. Check on this website for ideas on how to quiet a loud classroom. The first example would likely work well, but I wouldn’t recommend it. The rest of the ideas are worth a look. There are several great ideas that can be used as is or simply modified to fit your classroom. Texas Education Commissioner Mike Morath recently announced the launch of the Texas Gateway, a free online resource library for educators and parents provided by the Texas Education Agency. It offers resources, such as videos, interactives, formative assessments, professional development courses, and other classroom support materials, designed to strengthen classroom instruction to help every student succeed. Click here to explore. Share this great resource with everyone including your parents and students. We are constantly looking for information on the web. Once we find what we like, we print the page and end up with ad banners we didn’t want or just extra pages of garbage. PrintWhatYouLike lets you print the good parts of any web page while skipping ads and other junk. Easy to use; just copy and paste the website address into the site, submit, and remove the parts not needed.